File appears corrupt at open. This occurs if a file is updated and the disk protocol is set at NOTFORCE and CloseIFile() is not executed. Files have been updated but not properly closed; they were not processed by automatic recovery so they are in an unknown (inconsistent) state. 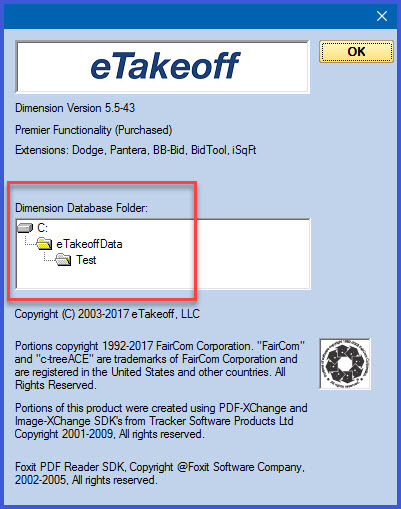 If eTakeoff Dimension is acting improperly, it could be due to the fact that the database files, Dimension50ProjData.ctr & Dimension50StdsData.ctr, have become corrupt. To clean the files up, perform the steps below. Run the command shell, "cmd"